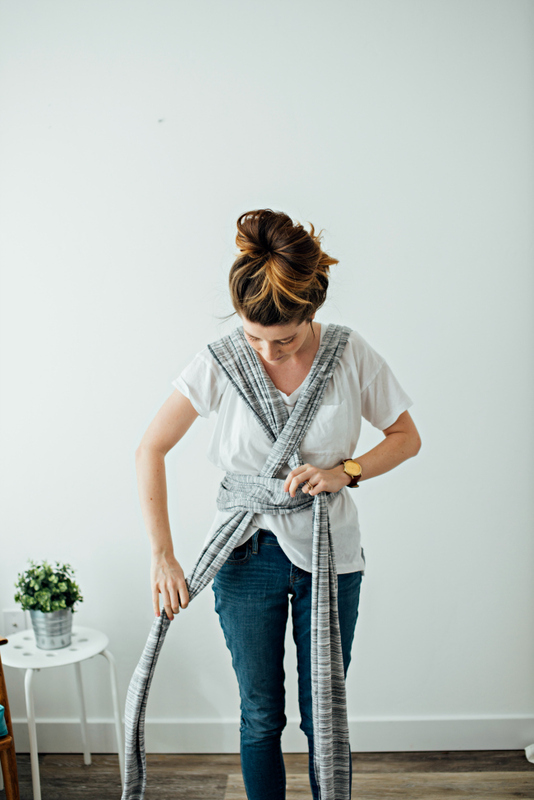 I have received a few messages and read a few comments having people ask HOW to use a baby wrap. 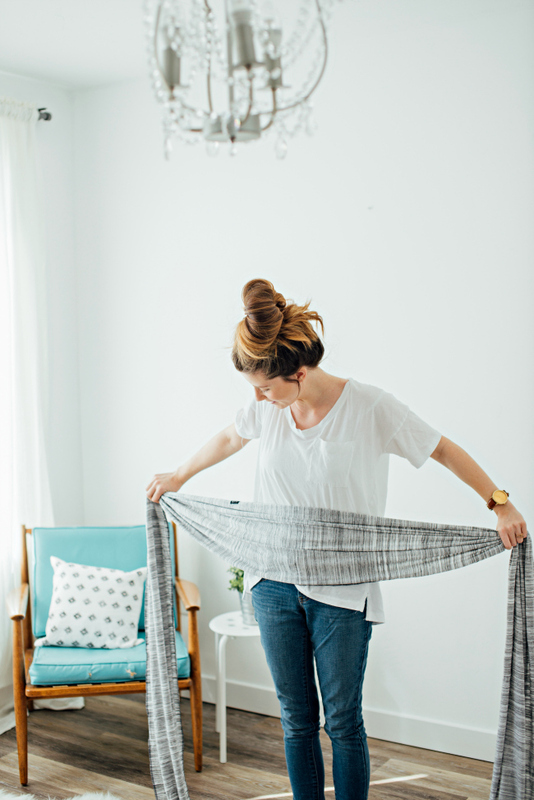 It can be confusing and there is A LOT of fabric to mess around with so I totally get it! 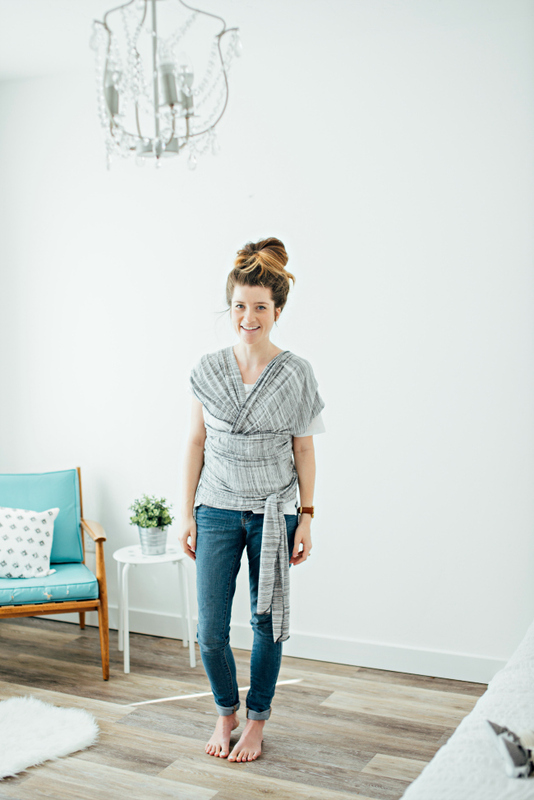 The first time I used a wrap Hudson was about a week old. I had to wrap that thing over and over until I finally got it! Now it only takes a few seconds to wrap it up and have Hudson comfy inside. Practice makes perfect! SO I have decided to do a post with step by step photos and instructions. Hopefully this can help! Like I said just try and try and try again. 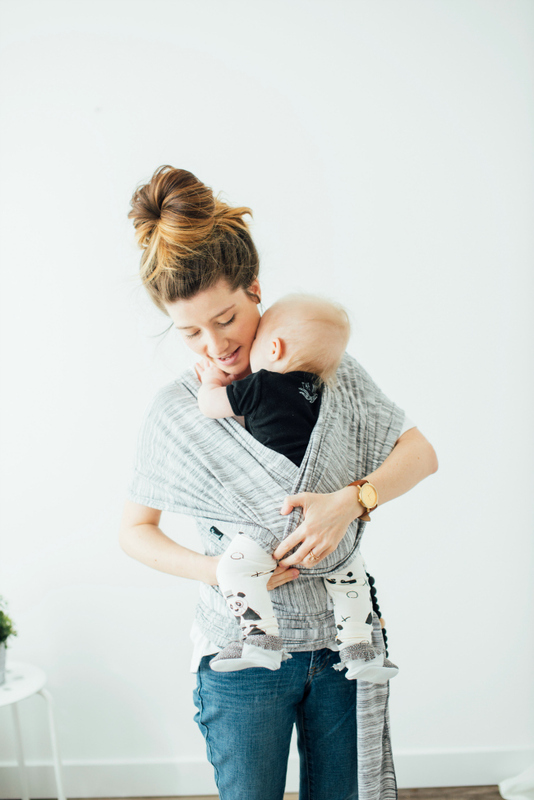 You won't regret it because this is SO SO cozy for mama and for baby. Hudson STILL loves being in his wrap at six months old. Here we go! 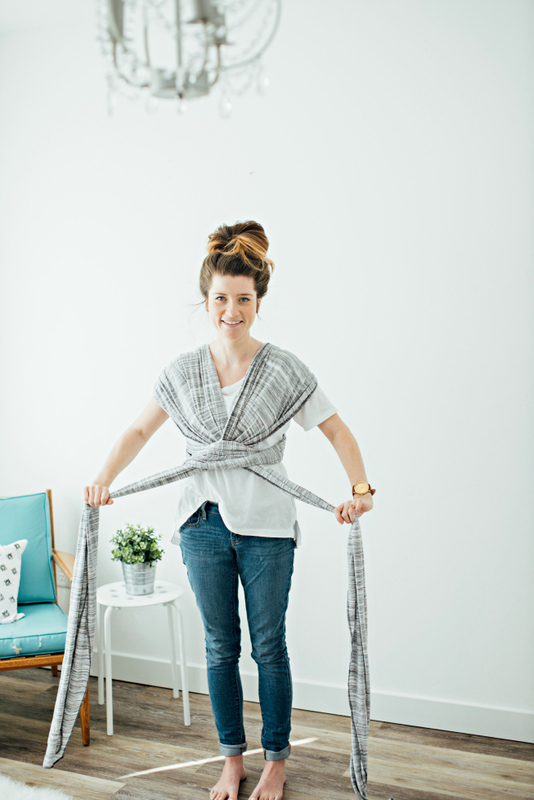 Step #1: Center the fabric along your belly making sure there are even amounts hanging down on either side of you and begin to wrap it across your belly. 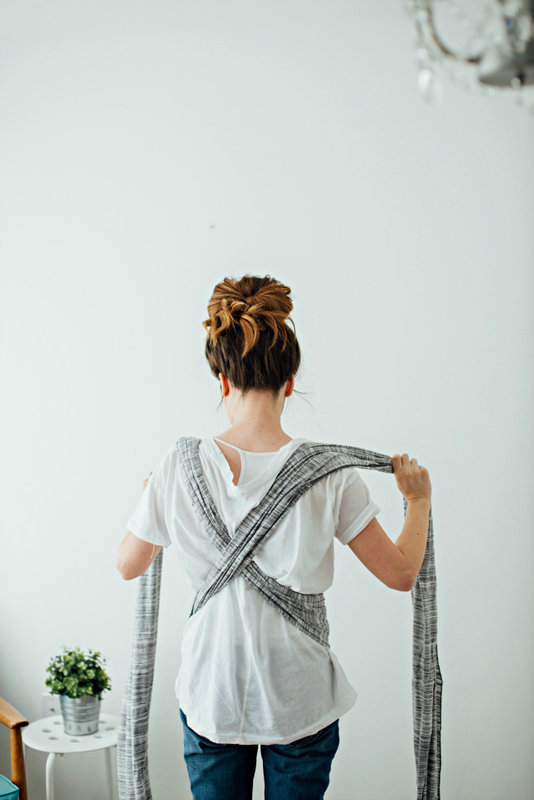 Step #2: bring the pieces of fabric along and up your back in a criss cross. 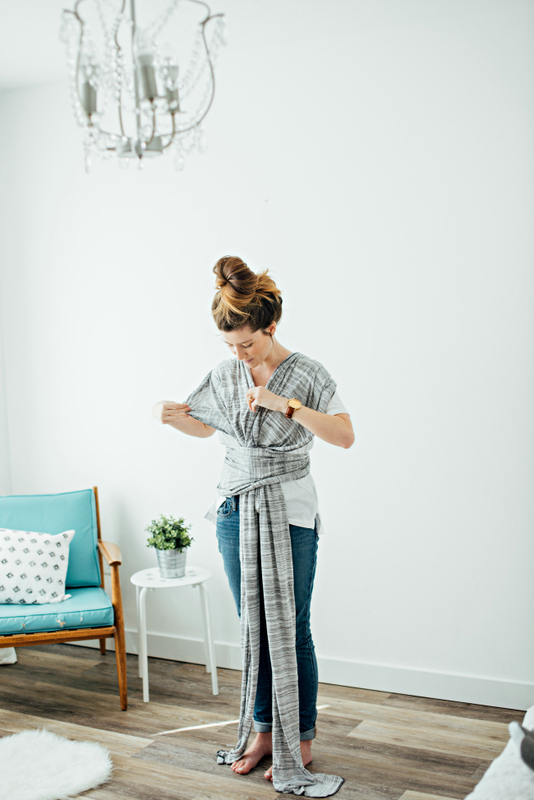 Step #3: Bring the fabric up and over your shoulders criss crossing again over your chest and tuck the underneath piece in first and then the over top piece in second. 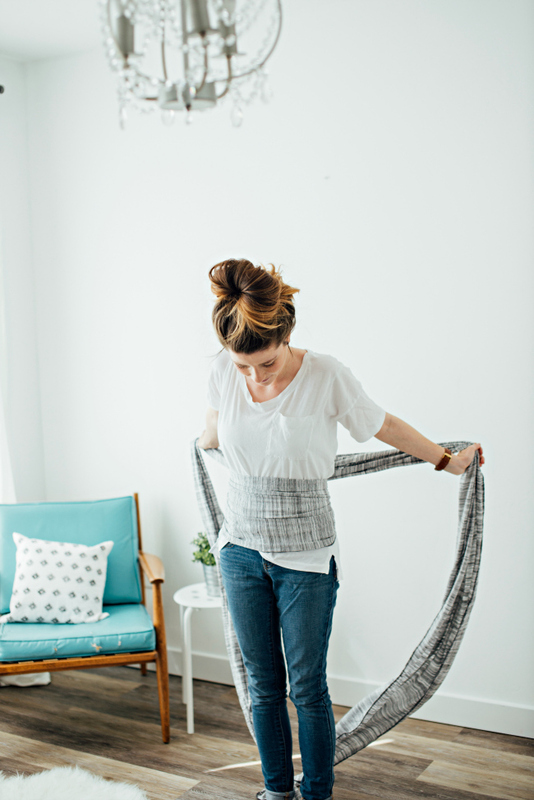 Step #4: Fan the fabric out along your back and shoulders and then fan out the fabric strip across your belly. 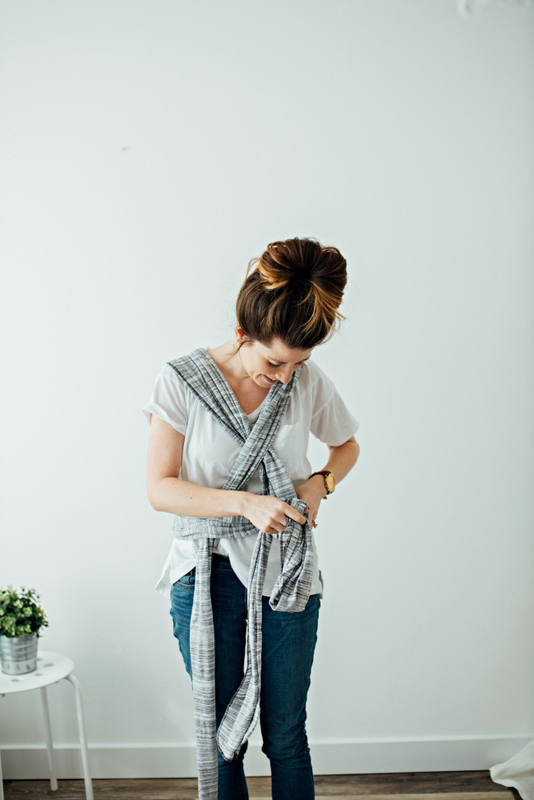 Step #5: Then take any extra fabric and wrap it around your waist and hips as many times as is comfortable. It should end up looking like this! Step #6: Scoop up your sweet babe and hold them up against you. You are going to take the underneath piece of fabric and slip your babies leg into it. Then wrap it around their cute little tooth. 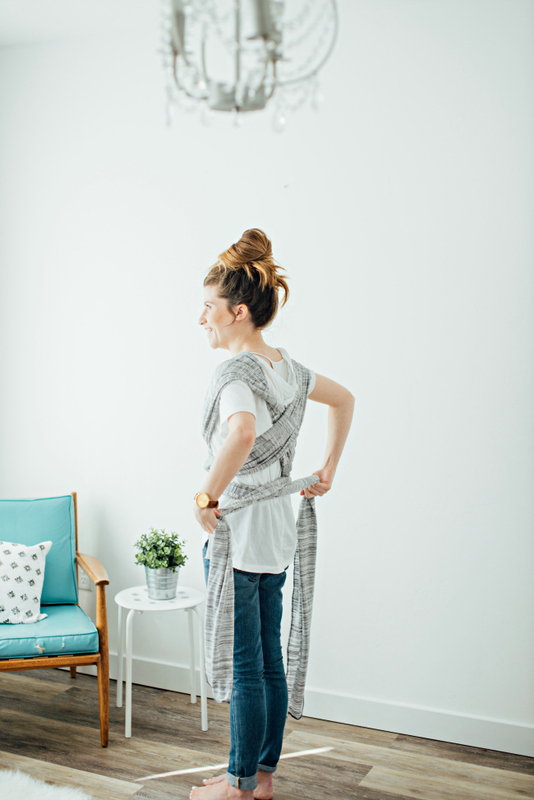 Step #7: Do the same on the opposite side with the other piece of shoulder fabric. 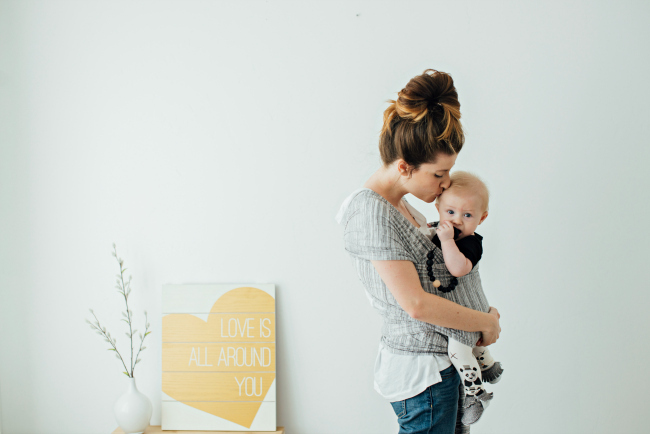 Step #8: This step is where your baby attacks you with sweet kisses because they love being so close to you! 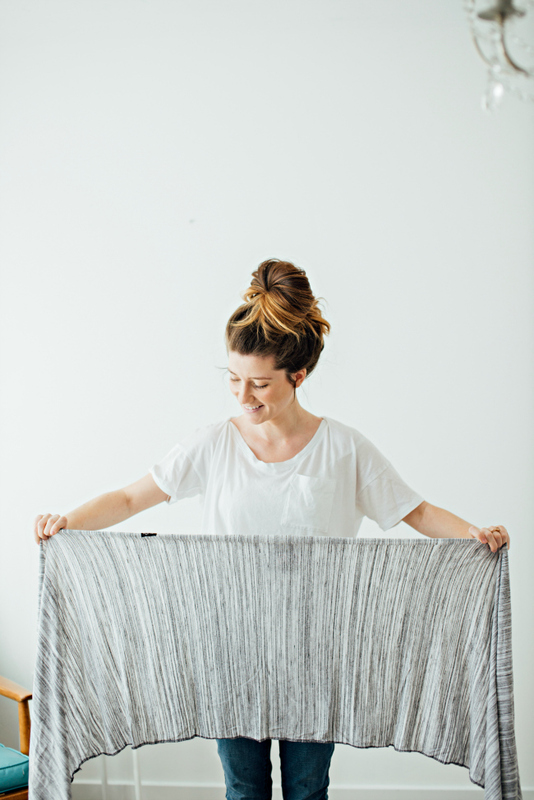 Step #9: Now take the piece of fabric from step #1 and bring it up over your babies bum and back. Hudson likes to have his arms out if he is awake and when he falls asleep I simply tuck his little arms into the should strap fabric and his little head in and he is safe a secure to sleep. 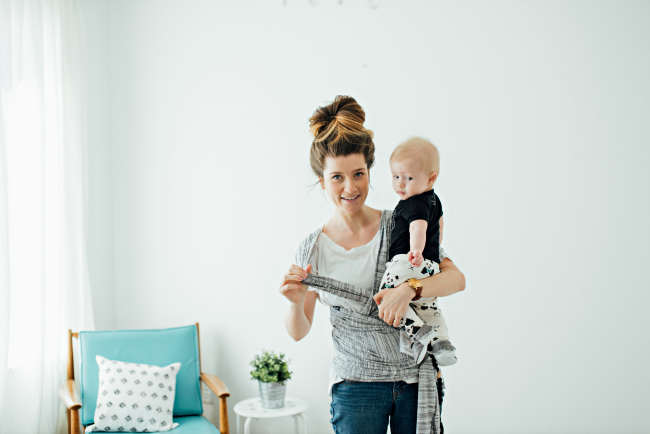 Step #10: Wear that baby like a rock star!! I have been asked so many times if wearing Hudson hurts my back. Surprisingly the fabric takes ALL of his weight and I am never left sore at all. 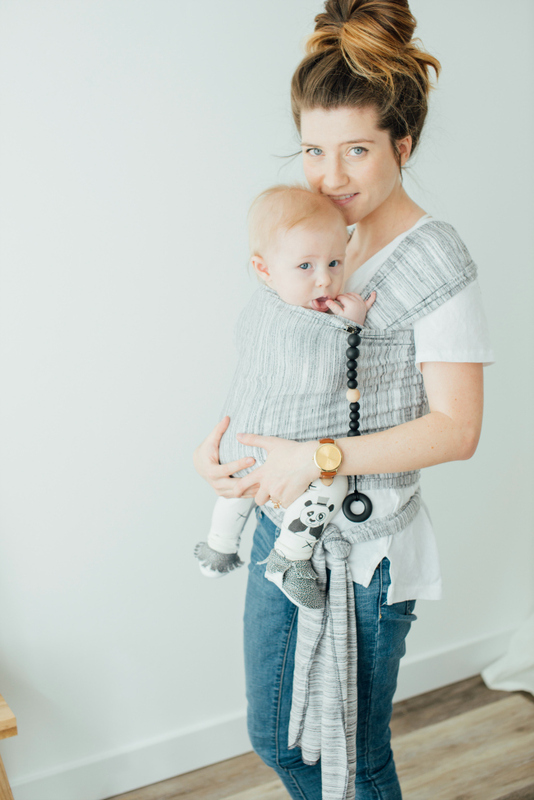 Another fun tip is to attach a binki or a teething toy to your wrap! It helps them have their comfort object close or also something to play with!